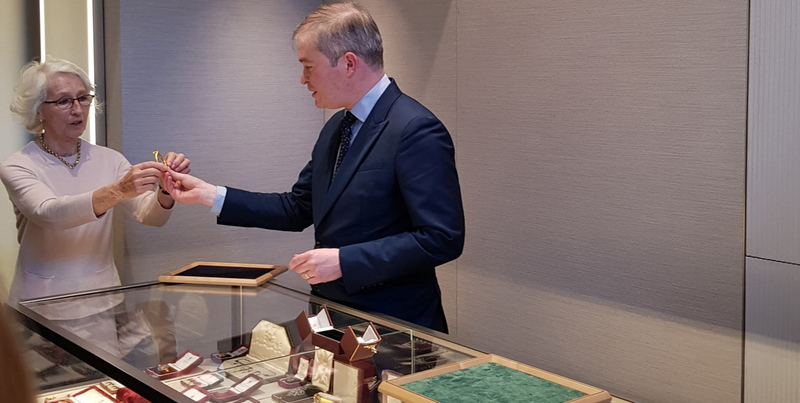 London jewellers Wartski introduced members of the BADA Friends to a trove of Fabergé and Celtic jewellery in a special event this week. Kieran McCarthy, managing director at Wartski, hosted an event for BADA Friends, talking about the history of the dealership and its stock. The event was hosted at Wartski’s St James’s premises, where it moved last summer. It was previously in Mayfair since 1974 and was launched in Bangor in 1865. 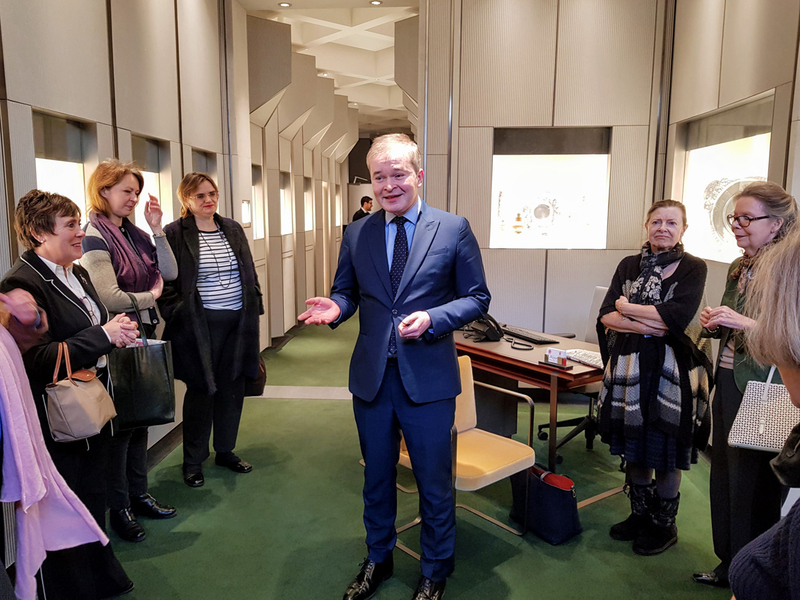 Managing director Kieran McCarthy briefed guests both on the gallery’s history and on some of the fabulous jewels it holds. Below are four key points to emerge during the event. Wartski operates at a high level – its claims to fame include making the ring for the 2011 wedding of Price William and Catherine Middleton. That means that it can often be the final opinion on identifying and assessing people’s most prized possessions, a difficult job when it means revealing that a certain piece is not all it was hoped to be. But the specialists are well trained to make these judgements. McCarthy, who specialises in Fabergé, has worked at the gallery for 25 years, and says that he learned partly through “osmosis”, handling spectacular works of art day after day. 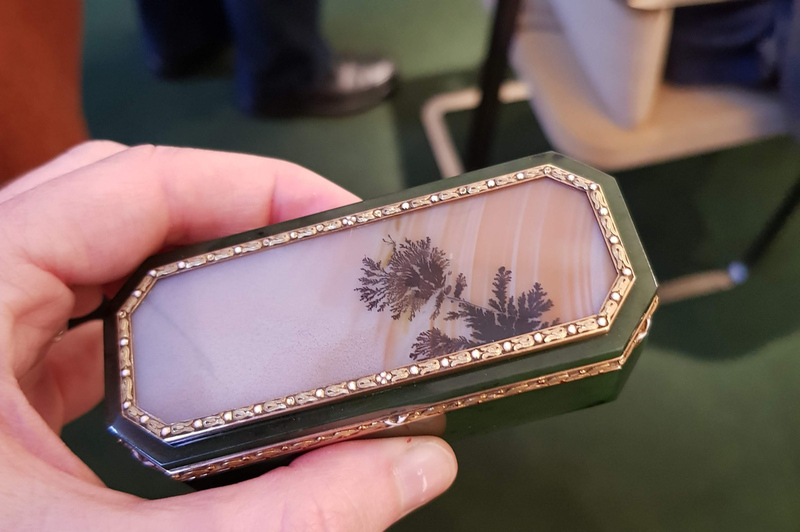 BADA Friends were invited to handle items in Wartski’s stock, such as this moss agate, nephrite and gold box by Carl Fabergé. “You get used to all these great treasures. Over time you see and experience so many works of art,” he added. In other words, Fabergé pieces are valuable because of their ornate workmanship and their history, rather than because of the amount of gold or precious material in each work. 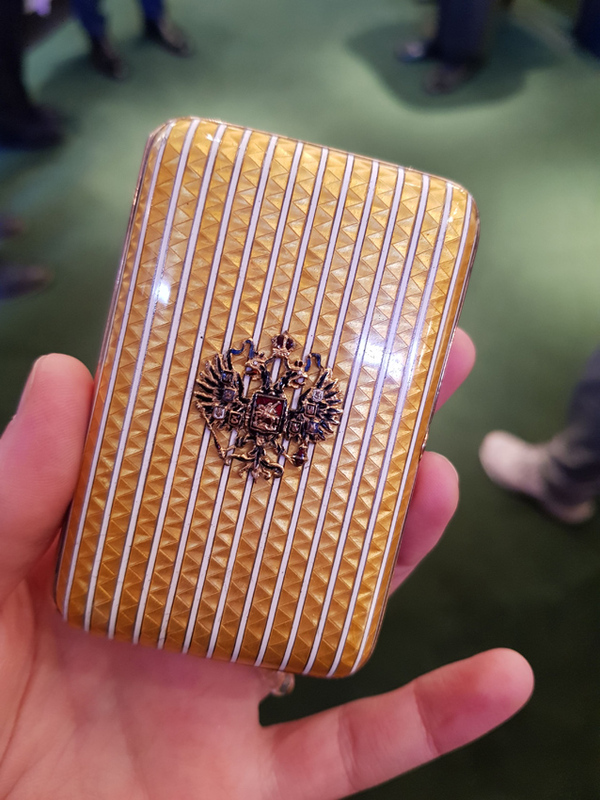 Since the opening of the Russian archives, McCarthy says, we have lived in a “golden age” of Fabergé because of the knowledge available about the use and provenance of these objects. This silver-gilt, enamel and sapphire imperial case made by Carl Fabergé in 1910 is among the pieces that members of BADA Friends admired at Wartski. One of the main uses for the objects were as gifts, either within Russia or to foreign dignitaries, a tradition that flourished during the reign of Nicholas II. The Third Imperial Fabergé Easter Egg. Its whereabouts were unknown for more than a century but was found and confirmed by Wartski. Copyright: Wartski. 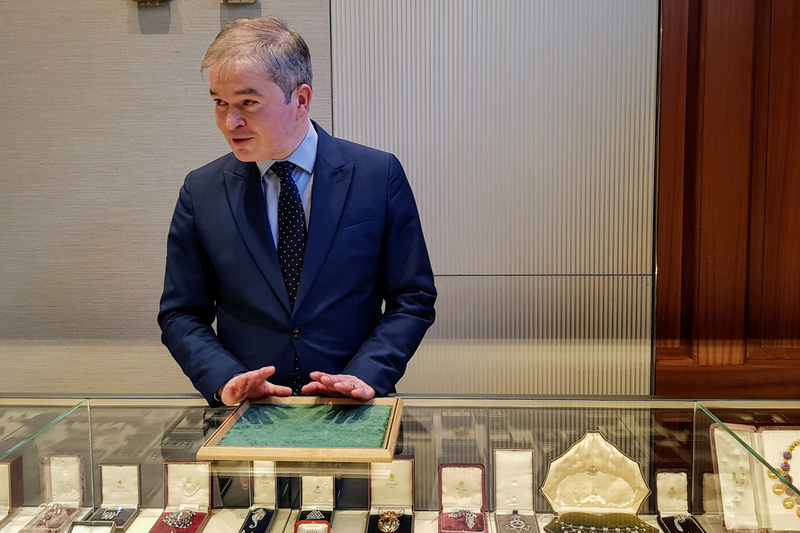 The point above proved crucial in the hunt for a lost Fabergé masterpiece when it was found by a dealer in the US Midwest who initially intended to sell it for scrap. The small yellow-gold egg is set with cabochon sapphires and rose diamonds features a watch with diamond-set hands by Vacheron Constantin. 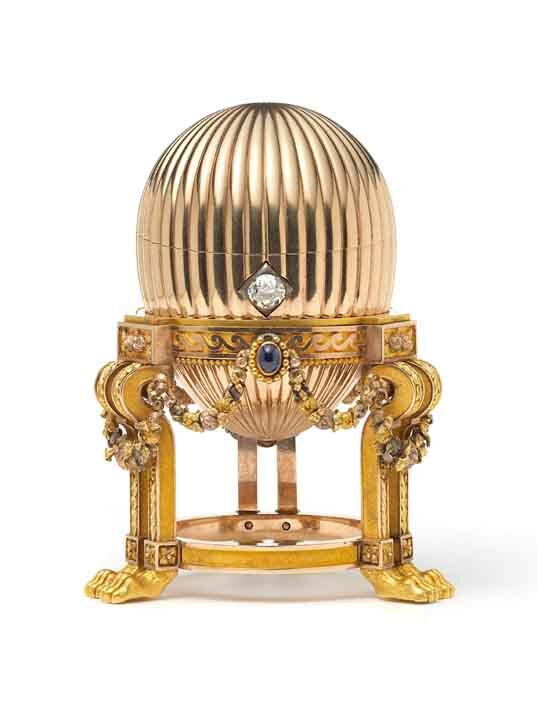 It had not been seen in public for more than a century, one of the 50 eggs made to unique design by Carl Fabergé to the doomed Russian Royal family. McCarthy recalled meeting the dealer, who came to the gallery one busy summer day explaining that he had been unable to sell it for a sufficient profit for scrap – but while researching online realised that what he had in hand was worth far more than the few thousand he had paid for it. On arriving at the Midwestern home, McCarthy added, his misgivings soon turned to delight as he started to handle and examine the egg. 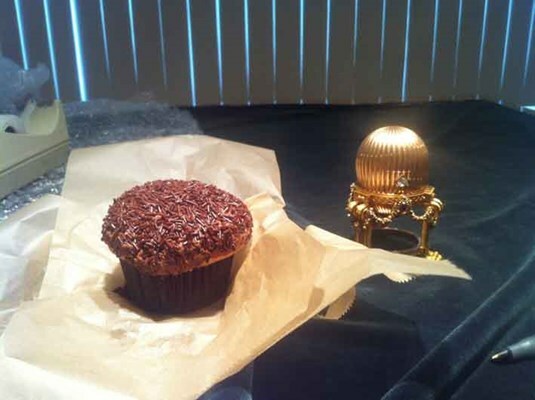 The first time Kieran McCarthy, Fabergé expert at Wartski, saw the Third Imperial Fabergé egg in the US it was displayed in a Midwest kitchen next to a large cupcake. When he heard the good news, the US dealer passed out, before quickly recovering and selling the egg to Wartski for a life-changing sum. He has since retired from dealing. In April 2016, a metal detectorist on the South Downs was drawn to a small mound with particularly vivid green grass. There he uncovered a small gold bracelet, later dated to 1200-800BC. Beautiful, heavy but diminutive, the piece is too small to be worn by any adult today. It is thought to have been buried by its owner at a high point, which at the time would have been near a water source. Already small, it may also have contracted under the weight of the earth over time. 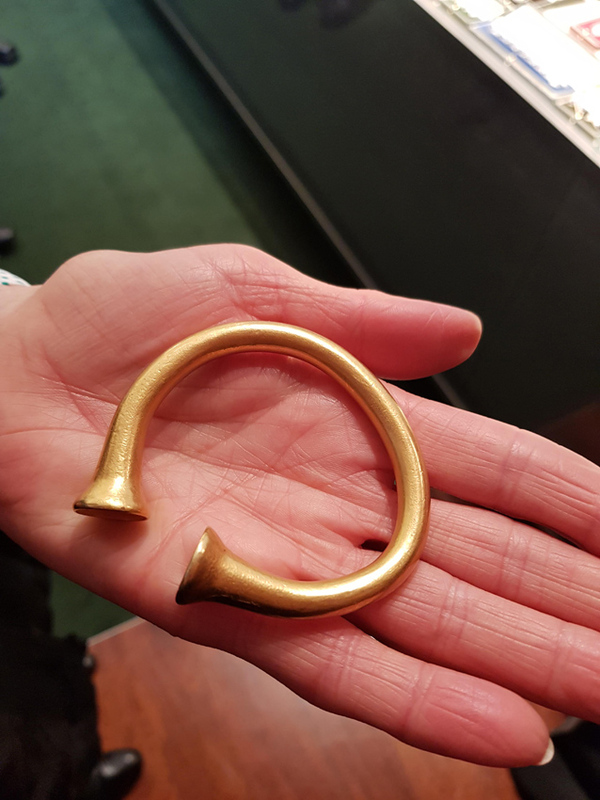 This gold bangle was discovered by a metal detectorist in 2016 and is now arguably one of the most important pieces in the Wartski collection. Members of BADA Friends had the opportunity to view it in an event earlier this week. It was taken to the British Museum for valuation, but these projects can be particularly tricky. Few such pieces have ever made it to the open market. Valuation by weight of the metal doesn’t quite do the piece justice either. In some ways, McCarthy said, it is beyond value.